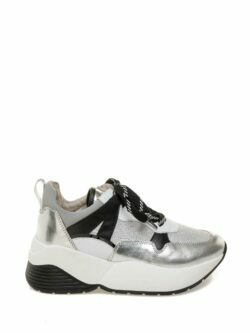 Athleisure: discover the shoes and the outfit for a sporty, casual chic style. 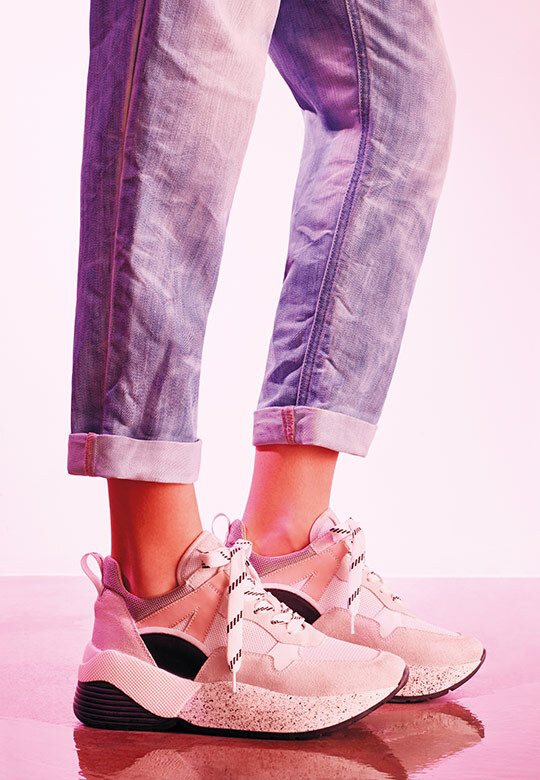 Athletic meets leisure in the sporty chic Janet & Janet collection. 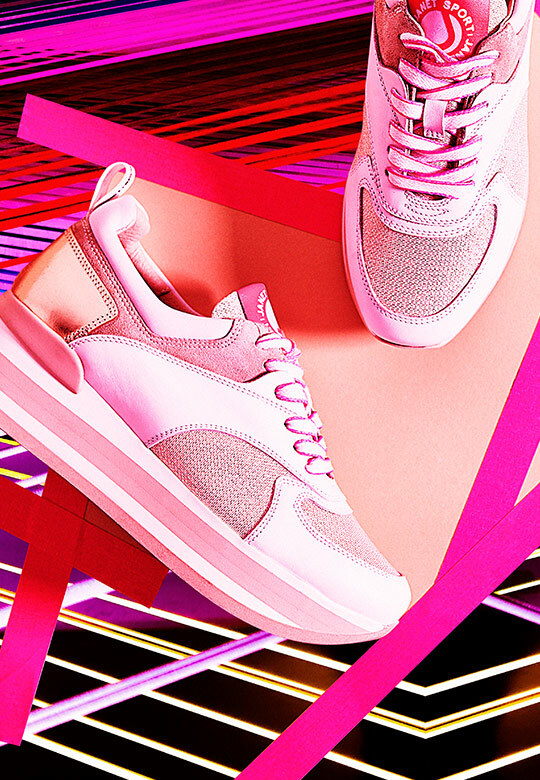 High rubber soles, bright colours and shimmering details for our Janetgirls. 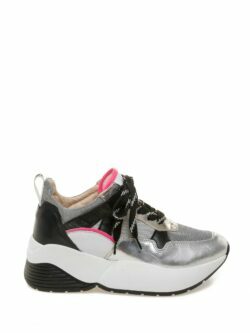 The activewear inspired athleisure style is the trend of this season and beyond: the sneaker mania is not only for those who love the sporty style but also for street style fashion enthusiasts! 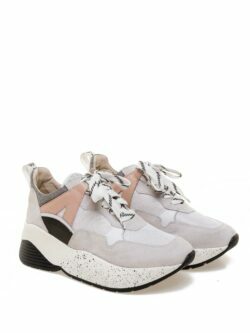 Discover the new shapes, volumes and colours JANET & JANET has selected for you. 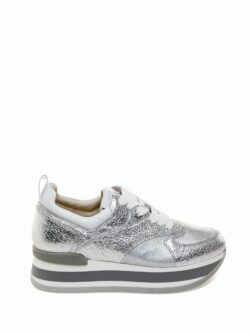 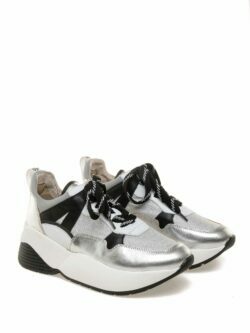 These white leather and lurex sneakers with rubber running sole go glam with their metallic platinum statement details! 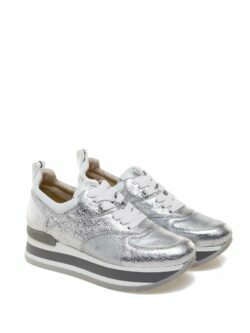 The perfect accessory to complete your jeans and coloured t-shirt city looks! 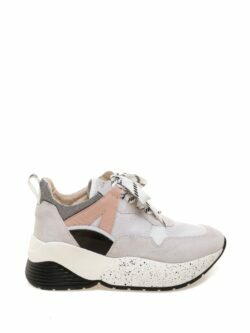 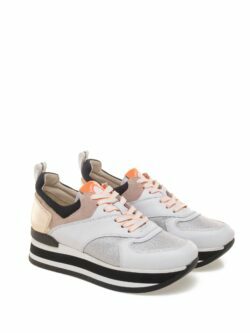 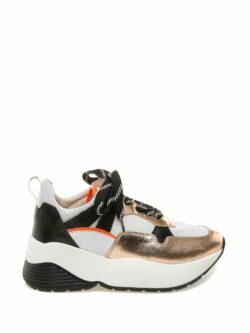 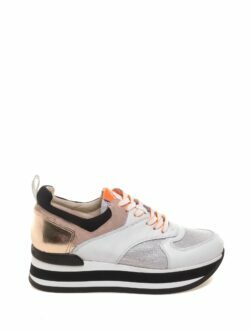 These street style chunky leather sneakers feature patent leather and mesh details and rounded tone on tone ton rubber sole. 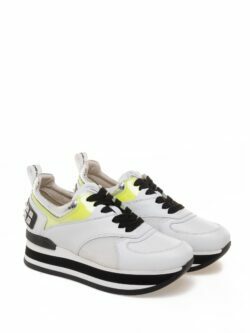 Any of the colour variants will be the perfect match for all your casual looks with a tee and a baggy pants!